My main line of argument with teachers went like this… If a student in your class is reading a book during Math class, what do you normally do? Well, you give a verbal warning and ask them to put it away, or you put a check by their name or whatever. What do you do if they pull the book out again? 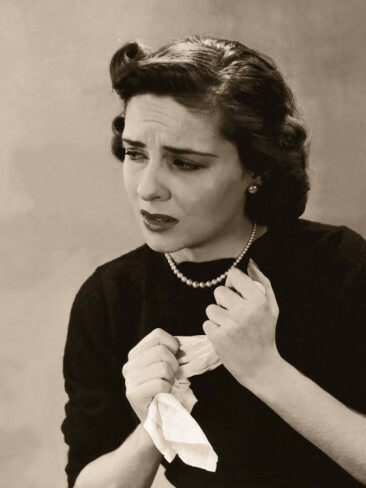 Well, you continue following your classroom management plan – another verbal warning, or you position yourself next to them while you continue, or …. At some point, yes, you may have to remove the book and set it on your desk and you may have to contact the parent, etc. The point is, IT issues should be no different. Set a classroom management procedure and following it consistently – and only the more severe or repetitive infractions should be escalated to involve IT staff or admin. The other change that had to happen as we moved into a 1:1 netbook program, and later a 1:1 iPad program, came through training teachers how to supervise computer use and manage their classrooms. He goes on to outline 4 things they implemented in their school in order to help teachers manage the classroom. Now, there is nothing new here, but I think the point bears repeating. 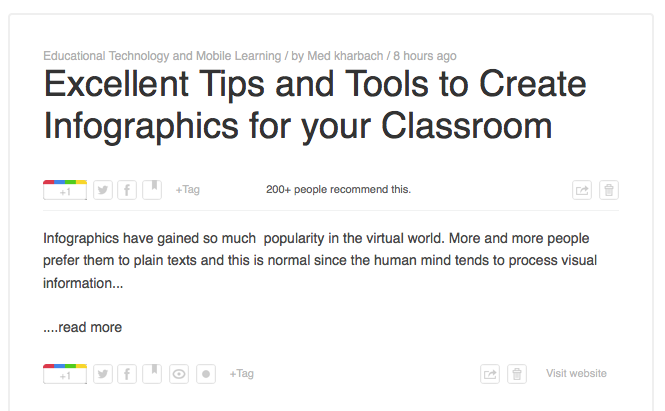 The classroom of 2013 looks very different than the classroom 20, even 10 years ago. It follows that the way we supervise the classroom must change as well. I like Schumacher’s emphasis on teacher’s using a uniform and clear vocabulary when asking their students to turn off their devices. I also like his emphasis on re-training ourselves. I would also add that it is up to us to instil best practices in the students. I like what Ms. Website lady said in the meeting: every time she sees a grade 7 in the rotunda chatting online with her friend who happens to be sitting a few people away, she stops them and makes them say hello in person. Of course the students are distracted. Of course they will find ways to misuse technology. But as my experience has a parent has taught me, a lot of these lessons are in repetition. 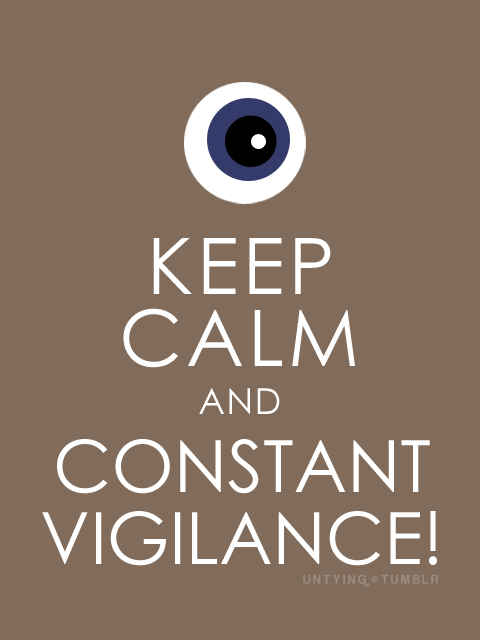 Oh, and don’t forget your constant vigilance. If you’re a starving student or a parent trying to figure out how to make sure your kid gets through the seventh grade, I can’t recommend iStudiez Pro highly enough. It suffers from a little bit of feature bloat, but in this app’s case, one student’s feature bloat is another student’s paradise. Since I started using the app, my grades have gone up, my productivity has more than doubled, and my schedule has become much easier to manage. Even planning vacations got a lot easier when I could see where the gaps were in between assignments and work. It is helpful to see how an actual student uses the app. With that in mind, I asked my daughter to try out the app for the couple of months. She is also a big fan though I notice she doesn’t use it for her class schedule. When I asked her whey, she said she couldn’t figure it out. 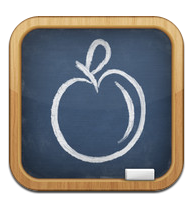 I think the main challenge for our school will be the importing of the bi-weekly schedule in the app. The way they ask you to input your class schedule does not allow for alternate weeks. This only means that they will have to manually input their schedule into the calendar, instead of using the planner section of the app. As I mentioned last week, Google has decided to scrap their RSS feed Google Reader. The decision behind this intrigues me. It makes me wonder if I missed the memo somewhere, if the way I collect websites and blogs to read is now updated. If they are scrapping it, it can only mean one thing, right? The tool is out-dated. Which means I am out-dated. Oh dear. This will have to be further investigated in the near future, but right now, I want to cling to my lovely collection of feeds, please. In order to do that, I need to find another feed reader. As the article I found on Google Reader alternatives recommended, I thought I would try Feedly, as it has an app for the iPad. I downloaded it first on my iPad. The first thing it asked me to do was access my google reader, which means that I didn’t have to figure out how to import all my collection to the new platform. Now whether or not my feeds will remain in Feedly once Google Reader is gone remains to be seen. Oh! But I just google this problem and the folks at Feedly anticipated me. They wrote a nice blog post for people like me who are migrating to Feedly from Google Reader! So yes, now all my sites are safely ensconced in Feedly. 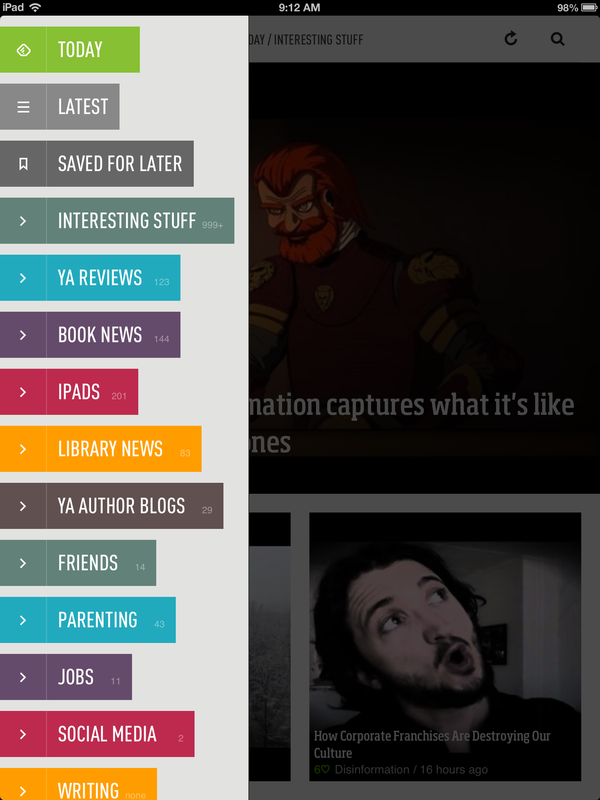 The Saved for Later works much like starring in google reader. In fact, my saved for later tab is already populated by the stuff I starred in Google reader. 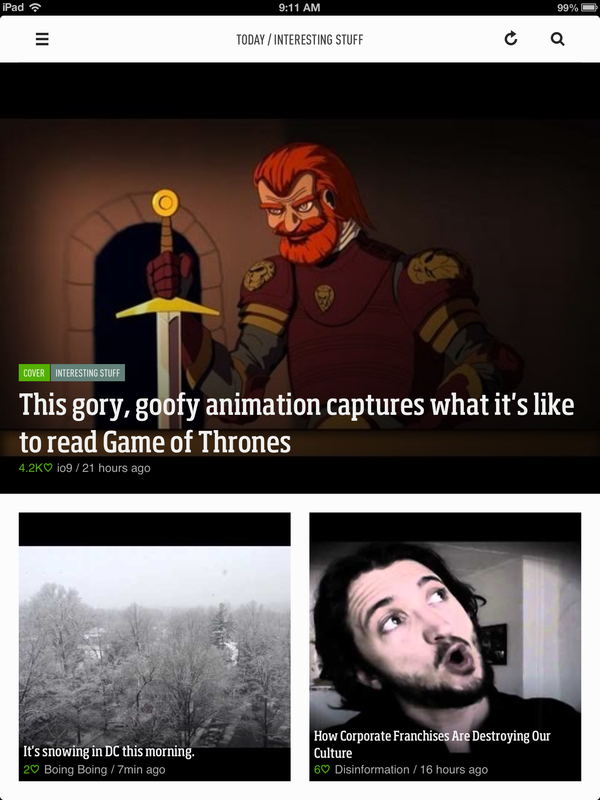 I did spend some time looking for where I could add a website to Feedly either through the app itself or an add-on in my web browser. I didn’t find a way to add anything through my iPad, which led me to download Feedly on my desktop. 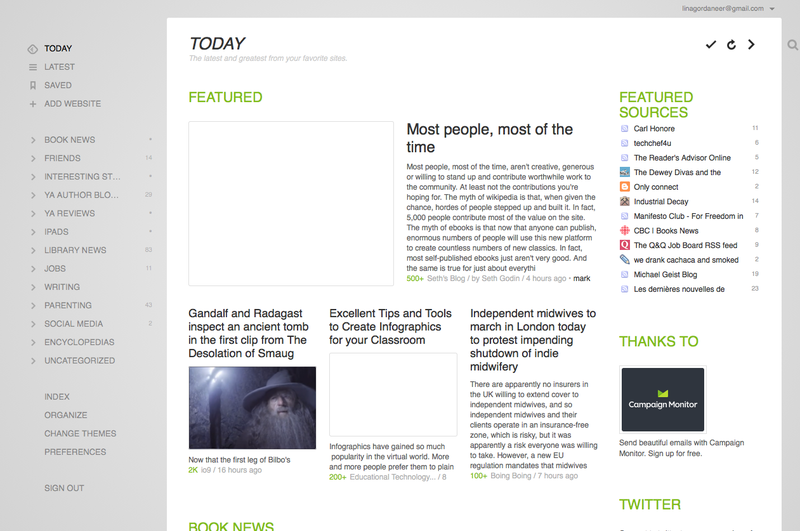 All in all, Feedly is a an easy-to-use, more elegant tool than Google Reader. No need for lengthy and complicated exporting and importing. It gives me everything Google Reader gave me plus a more elegant interface. However, in every talk I give, I try to mention several apps for each task I have students perform. This can, at times, seem counterintuitive to those I am speaking to who want a ‘single solution’ in their classrooms. 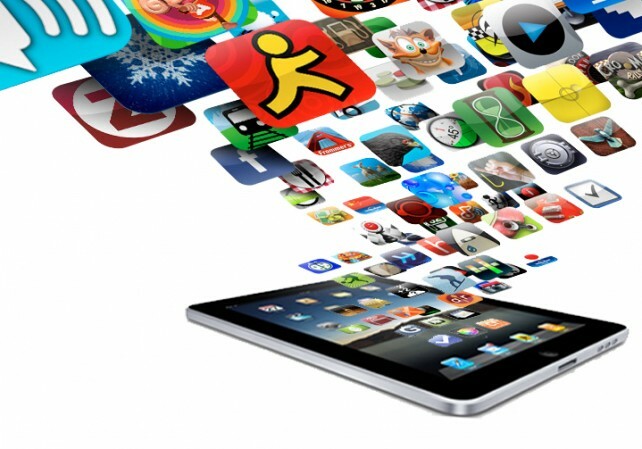 I have mentioned already in this blog how I thought our school should focus more on creation apps as opposed to content-based apps in terms of what we should be recommending our students to purchase but it never occurred to me to let the students choose which apps they use when they do a project. I know when I have been developing projects for the iPad for students I have never given them the option as to what app they use to get the job done. I have also been intrigued about what I am increasingly perceiving as a disconnect between how we want to use technology in education (eg. the flipped classroom) and the students’ inability to change their own study habits to take on this challenge. (I posted a great Ted Talk about this in a previous post). Now don’t get me wrong- this is no criticism on teachers. The questions Keenan poses as well as Dan Meyer (the math teacher in the Ted talk) is I think an age-old one. How to we get students invested in their own learning process? How do we get them to think about how they learn and what works best for them? Are we giving them enough choice? Too much choice? As always, trial and error are a big part of learning- do we give our students enough opportunities to try, fail, try again and then succeed? I don’t know. Do you? If so, please tell us about it! NOTE: Since a teacher’s name and school was included in the comment, I thought it might be useful to remove any personal or identifying information from the comment before raising awareness of it. I get that iPads can help students learn and it can open up new opportunities to learn. But at -school name removed by Edudemic editor, Jeff- the teachers get their own iPad. they play games all throughout class and give us huge packets to work on. They don’t even teach us the material, they just say here’s your work do it by next class. Then they give us hard tests and wonder why no one get’s good grades on them. -teacher’s name removed by Edudemic editor, Jeff- is one of these teachers. They get paid to be here and do nothing, I’m forced to come and do more work then them. 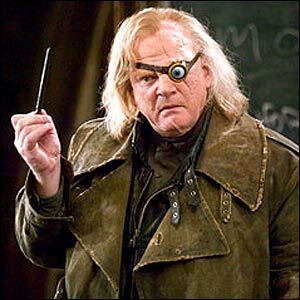 Our school would be better off without iPads.